Hardly anyone does not like to eat walnuts. They will not be aware of its beneficial properties. It is very beneficial for the body and it has capacity to fight against many diseases. The daily intake creates ability to fight against cancer. Metabolism also remains good. The energy level remains in control. Many people say walnut is the brain food because they believe that mind gets energy by its consumption. Walnut consumption is beneficial in the case of low memory. If you drink walnut with a glass of milk then you will get more benefit. Help weight loss: Consumption of nuts helps in reducing body weight. Girls or boys who want to lose weight they should consume walnut. Good sleep: Body gets relaxation and you get good sleep by taking walnut. Good for the heart: The heart remains fit by eating walnut. It is rich with anti-oxidant which keeps heart healthy. Diabetes: If you suffer from diabetes intake of walnut is beneficial. Regular intake can help you to avoid diabetes. Walnut is helpful in diabetes 2. For sperm: Men who wish to become father walnut are quite beneficial for them. Sperm count increases by its intake. 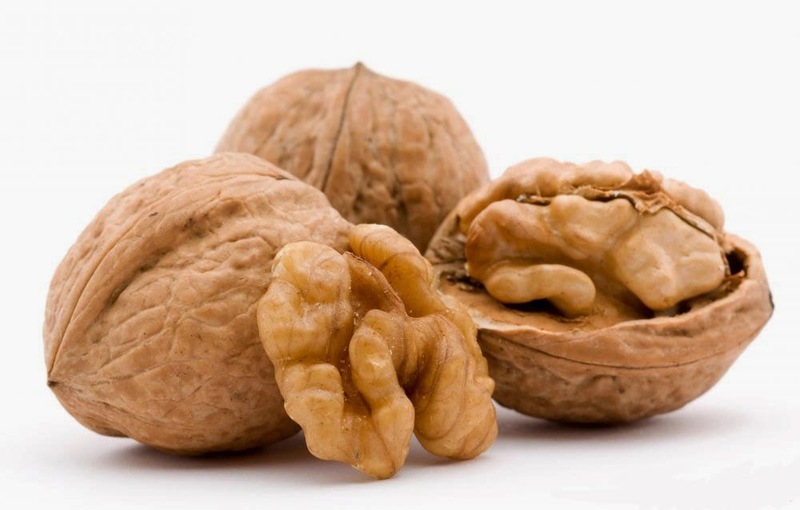 Brain Food: Regular intake of walnut makes the brain sharp so it is also known as brain food. It has vitamin E which keeps mind healthy and sharp. Colon cancer: Consumption of walnut is beneficial in colon cancer. Walnut reduces the pain and weakness. For a long life: For a healthy and good life consumption of walnut is necessary. Its regular intake increases the life and you get good energy. During Pregnancy: Intake of walnut is very beneficial for pregnant woman. Child grew up in the fetus does not get allergic and also get the necessary elements for growth. Reduce stress levels: A recent survey has shown that walnut consumption reduces stress levels. It controls the blood pressure level and body gets enough energy. Breasts: If you want to make your breasts shapely and healthy you should intake walnut daily. You will get benefit.